WALK IN LOVE! 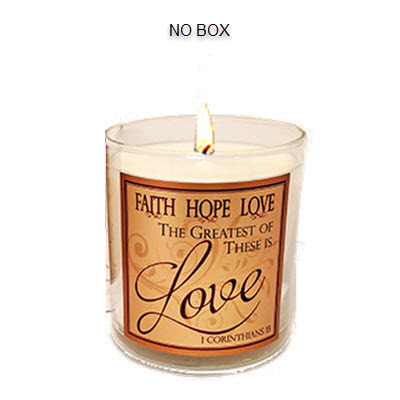 This striking candle, bearing the well-known scripture verse in 1 Corinthians 13, is a gentle reminder that God's Love is a powerful gift for good and covers a multitude of wrong. Our special blend of 4 scents make up our exquisite COVENANT fragrance that represents the awesome opportunity to believers to walk in covenant with the God of all Creation! Hand-poured in Abba's facility in our eco-friendly soy blend wax, it has an approx. burn time: 26-30 hours and is 8.7 oz by volume. Container can be used with votives or tealights for continued delight.